Entrance is a double door 68" wide with no frame in the middle for easy accessibility. Counters are 34" high with potato chips stored below for easy access. Mirror is above 40" high. 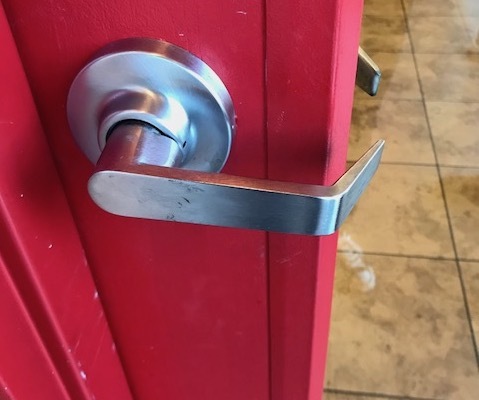 Jimmy John’s is an incredibly accessible restaurant. 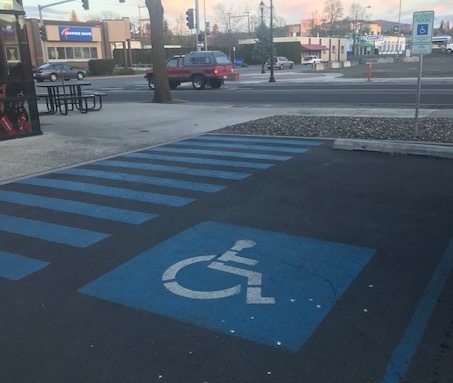 There is a reserved disabilities parking spot in the front with an aisle on the left side. The front door is a double 68” wide door with a zero threshold. When you first walk in, you immediately see a 34” high trash can that is easily readable. As you walk up to order, the counters are 34” high with the chips down below so they are easily accessible along with the cups on the counter. 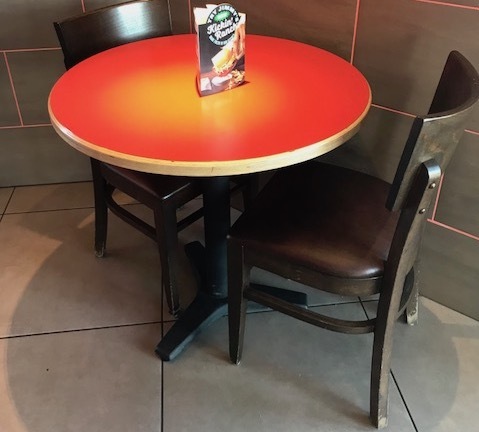 The restaurant has a variety of seating along with booths, bar top, fixed and non-fixed seats. 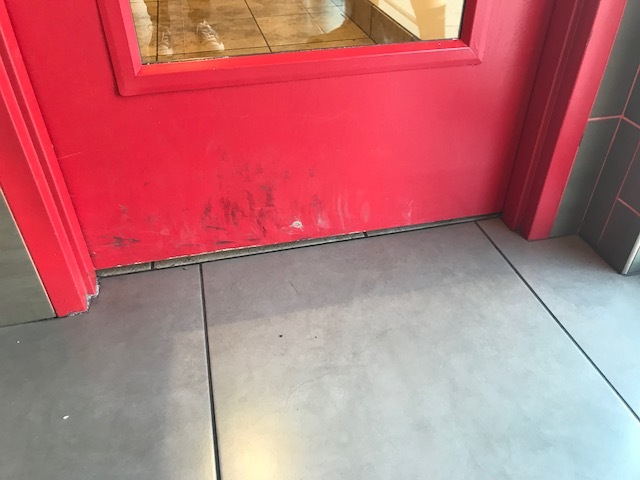 The door to the bathroom is 35” wide with a 40” high, lever door knob. 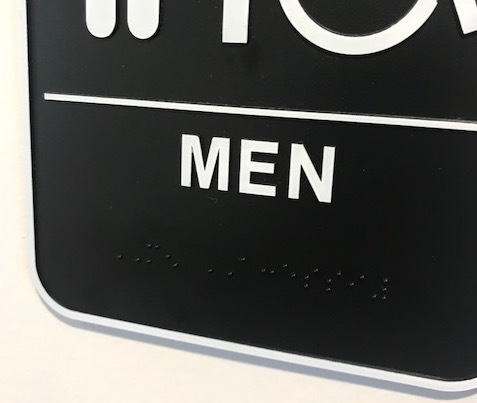 The sign outside of the bathrooms have a symbol representing if its boys or girls, words, and brail. As you get in, there are censored lights that come on. The 33” high sink has room underneath it for wheelchair accessibility along with a motion censored faucet. The mirror above is 40” high. 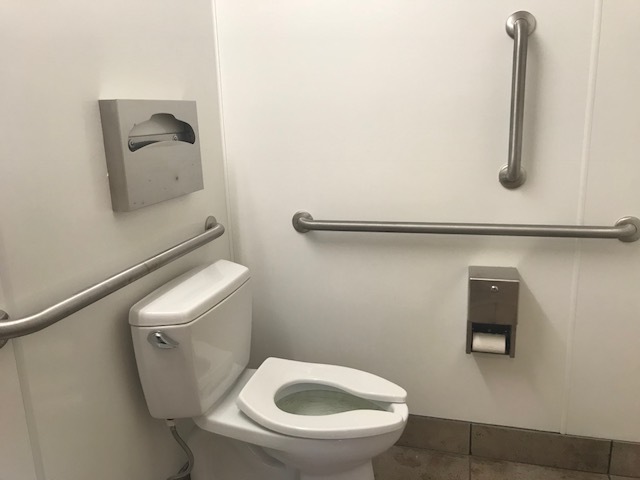 There is 32” of room between the sink and toilet and a 5’ x 5’ turning radius, both for wheelchair accessibility. There are horizontal and vertical guardrails alongside the toilet for low physical effort. 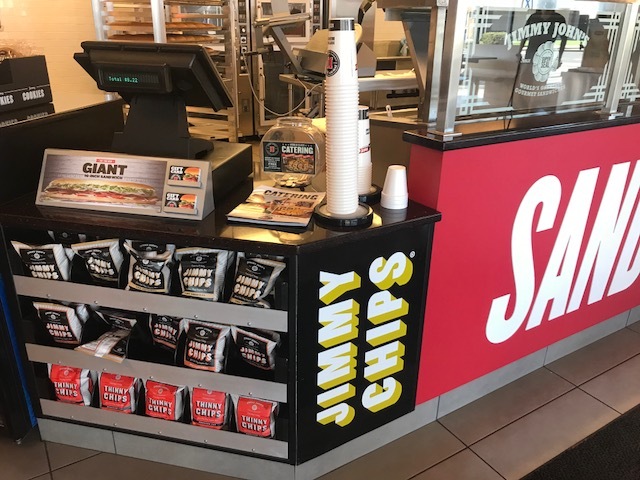 Overall, Jimmy John’s atmosphere is not only a fun and modern, but also exceptionally accessible. I would highly recommend this freaky fast business to anyone! 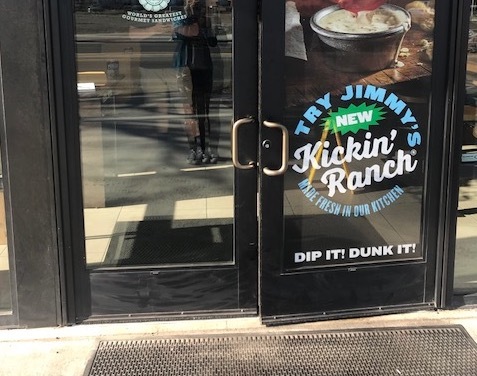 Other Pathfinders could benefit from your experience at Jimmy John’s.